EAMA each year seeks to select a team of athletes in the five-year age groups to take part in the British & Irish Masters Cross Country International (usually held in November each year). Selection normally takes place in late summer and potential athletes must be a member of one of the constituent clubs (EMAC, IoM, MMAC, NMAC, NEMAA, SCVAC, SWVAC or VAC as either a first or second claim member). This year’s race was held at Singleton Park, Swansea on the 17th November. The course was very undulating on normal grass as you would expect for a park. Fortunately the weather was fine and sunny but not too hot. 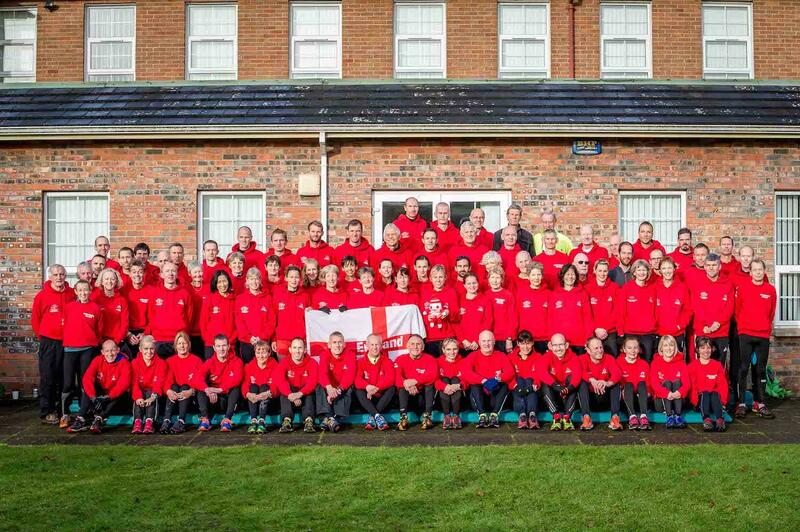 England swept the team awards winning all age groups apart from the Men’s 75 where we finished 2nd. Gold: Kate Rennie (SCVAC) W45; Kathryn Bailey (SWVAC) W50; Yuko Gordon (EMAC) W65; Angela Copson (MMAC) W70; Alastair Watson (MMAC) M40; James Skinner (SCVAC) M45; Tim Hartley (MMAC) M50; and Ben Grant (NMAC) M70. Silver: Jessica Franklin (VAC) W35; Kirst Longley (NMAC) W40; Julie Dixon (SWVAC) W45; Caroline Wheelhouse (NMAC) W60; Dot Fellows (MMAC) W70; Will Smith (NMAC) M40; Scott Smith-Bannister (SCVAC) M55; Nigel Gates (SWVAC) M65. Bronze: Lara Bromilow (EMAC) W35; Louise Rudd (NMAC) W40; Jacqueline Rockliffe (SWVAC) W45; Clare Elms (VAC) W50; Monica Williamson (MMAC) W55; Linda Hembury (VAC) W60; Dorothy Kesterton (NMAC) W65; Nick Jones (NMAC) M40; Simon Baines (VAC) M45; Andrew Leach (EMAC) M50; Guy Woods (SWVAC) M55; Paul Merrison (NEMAC) M60; David Butler (EMAC) M65; Phil Brennan (MMAC) M75..
Our only disappointment was the apparent lack of enthusiasm for our award winners at the evening banquet compared to the reception given to that given to the other country’s winners. Perhaps we can to better next year in Southport 2019. We would especially like to thank all of you competitors for the warm welcome you gave us and for the emails of thanks that we have received. We would also like to thank Julie Everett wife of Steve M55 Reserve for the invaluable help in distributing kit etc. on the Saturday morning. 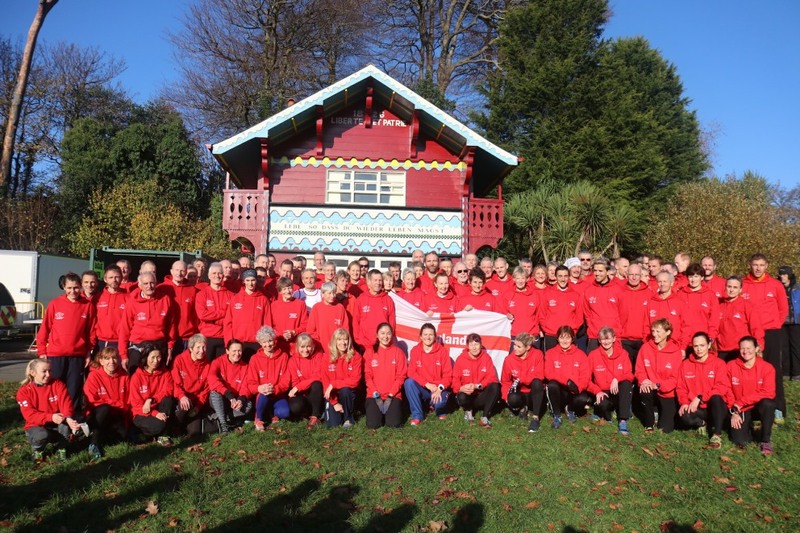 In 2017 the event was hosted by the Northern Ireland Athletics Masters Association in Derry on 18th November 2017. The series of races for Masters athletes took place on the Saturday afternoon on 18th November 2017 at Gransha Park in the City.